Frankfurt native Andreas Baumecker aka nd_baumecker began his DJ career in 1991 in a bar called Romantica, located near the city’s main train station. The venue was run by legendary nightlife impresario Hans Romanov, who also operated Intimbar, where Baumecker would eventually move on to a short time later. 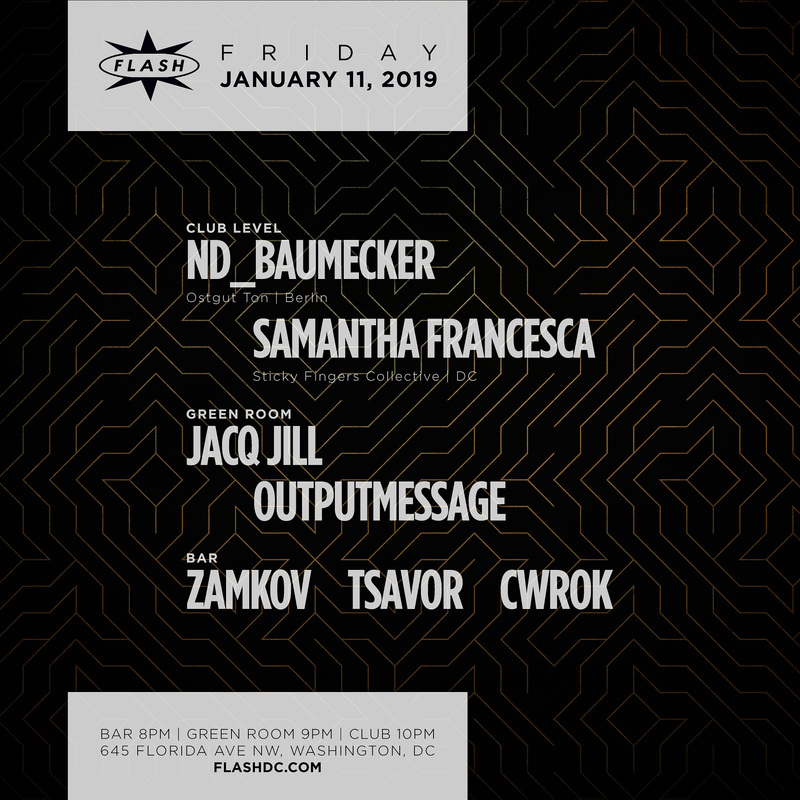 It’s there that Ata and Heiko M/S/O from Playhouse took notice, inviting Baumecker to work as a buyer for their record store Delirium and offering him a residency at their seminal WildPitchClub night at the Club Nachtleben. Soon, Baumecker was regularly playing Frankfurt’s numerous electronic music venues (Box, XS, Music Hall, Dorian Grey), before moving on to Heidelberg, where he promoted the club night HD800 together with Dirk Mantei aka D-Man. After a short stop in Mannheim, regular guest DJ sets at Berghain / Panorama Bar predecessor club OstGut in Berlin, and establishing his own label Freundinnen Audio, nd_baumecker moved to the German capital in 2004. There he not only picked up a residency at Panorama Bar inside the newly opened Berghain but also started a job as the club’s in-house booker.Stylistically, Baumecker covers a truly broad spectrum of dance music, refusing to be limited by genre: "A well known choreographer once said: 'Surprise is important.’ I think this approach describes my DJ style best. I’m constantly oscillating between disco, house, techno, electro, broken beats and pop. Ultimately, I’m open to anything – from brute force to tender. I see the dance floor an experimental field: If you manage to really capture the crowd, you can do almost anything with them." Of course, the flow of tracks and resolving musical differences plays a key role in achieving just that, and few DJs are as adept at uniting fundamentally disparate sounds, different keys, different rhythms and different atmospheres. „If something sounds truly new to me they give me a jolt. Also, dance music should have a good portion of funk and, in a way, it needs to sound like disco, whatever the style. I like vocals a lot. In my opinion they are the most important and significant bits you’re taking home after a good night out; they’re the most memorable. "Since 2010 nd also produces with Sam Barker as Barker & Baumecker. The duo have released four 12”s and two albums on Ostgut Ton, operating musically between dancefloor and spiraling left field electronics. Finally, November 2018 sees release of nd_baumecker’s Panorama Bar 07 DJ mix.